DSTROYR is a lifestyle / clothing brand based out of Riverside CA. Art, auto culture, music, and almost everything in between make up DSTROYR. The DSTROYR blog was started to help spotlight the local art scene and events in Riverside. More things are happening out here then people realize. The blog covers a wide variety of things, but mainly it helps spread the word and turn people on to something new. The DSTROYR brand evolved from the simple necessity to promote the site. But as it went along, more designs were created and it has become more of a reflection of influences. 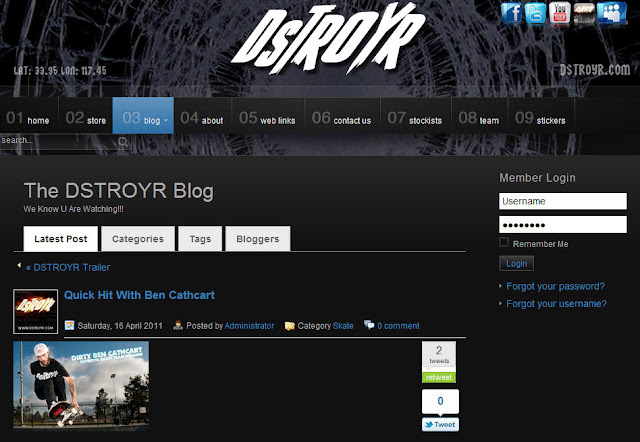 The concept behind DSTROYR is simple, be the best you can be for yourself. So whatever you wanna excel at kill it, own it, DSTROY it.